I’ve noticed my Pokemon posts are very popular, which is a shock to me since those posts are at least three years old. Nevertheless, I stopped at Kalos because Alola, the seventh generation of Pokemon, wasn’t released yet. Unfortunately, I couldn’t fill this list even halfway to ten. I guess I’m either too picky or Alola has a few less cute pokemon than previous generations. I’ll assume I’m picky. In my post about search results, I mentioned searches for pokemon are the most common ones that lead to my blog. Funnily enough, I haven’t made a pokemon-related post since 2015. I suppose it’s not so odd since this blog is supposed to be life journal of my thoughts, feelings, and experiences, but it makes me happy something I love so much is popular on this blog. So, let’s change how recently there’s been a Pokémon post! I am very excited for the release of Pokémon Sun and Moon! There’s yet to be a pair of games I don’t like and each new generation of games becomes my favorite. I have no doubt I’m going to love Sun and Moon over X and Y. It’ll simply be the usual. Aside from being the newest games, there are reasons I’m excited for them. The biggest reason I’m so happy about Sun and Moon is the creators bought trainer customization back! Its absence in the ORAS games is one of my disappointments and the games being remakes does not justify that because fairy types and features like Pokémon Amie are in the ORAS pair when they didn’t exist in the original RSE games either. Therefore, that excuse is a pile of fish carcasses! I got a lot of hate on Tumblr for pointing that out and being unhappy about the absence of trainer customization, but it’s Tumblr and a fandom. The majority of people on Tumblr don’t like you not thinking how they do and I’ve ranted plenty about fandoms already. Better is there are now four trainers to choose from of each gender instead of three. Two characters who look more like me now. Yay! Whether characters look like me or not isn’t particularly a big deal, but it’s always a nice thing, especially when it’s something I’m playing through. Reading trainer customization was returning was especially a nice surprise because the creators once said trainer customization was only meant for Kalos. It’s their choice and their games, but I rolled my eyes so hard at that. What, Kalos is the only region where people like shopping? Well, I suppose it could be. I don’t write the stories! After trainer customization, the next thing I’m most excited for is, supposedly, Sun and Moon will be entirely in 3D (graphic-wise, not the effect). There will be no 2D imagery whatsoever. 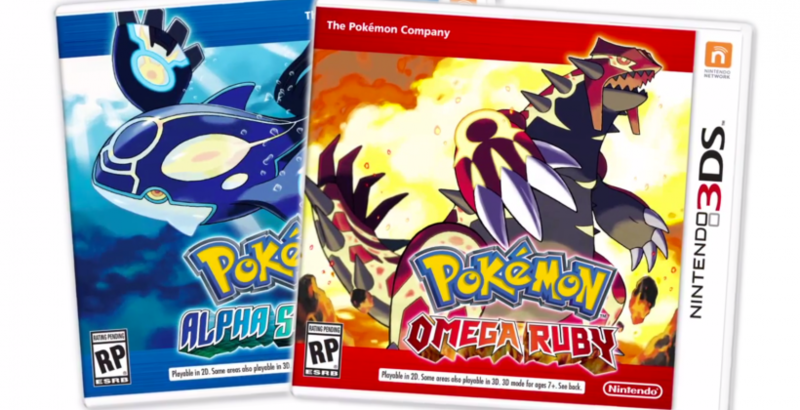 I am very thrilled for that because I always wondered why X and Y weren’t fully 3D when they were the first pair of Pokémon games for the 3DS. When I think about it, however, I suppose that could be why. X and Y could be seen as a trial run and a stepping stone to improving the Pokémon games further and further for the 3DS. Everybody starts somewhere and why bite off more than you can chew when it’s your first time with something new? 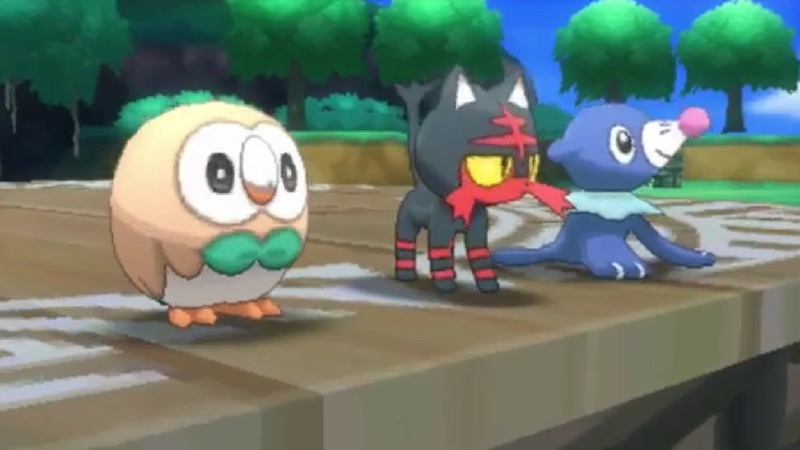 I also adore the starter pokemon: Litten (the cat), Popplio (the seal), and Rowlet (the owl). I’ve already chosen my starters. I’m choosing Litten in Sun and Popplio in Moon. I like cats, so it’s not hard to see why Litten is my first choice. For Popplio, I just like its design more than Rowlet’s. However, I can’t say I’m liking most of the new pokemon’s designs so far. 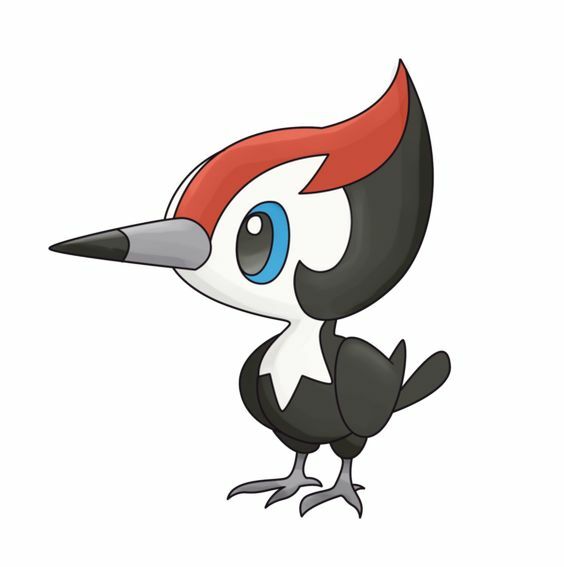 My favorite, besides Litten, is Pikipek, but of the new pokemon that have been shown, I see most of their designs as ugly or hideous. Although, Cutiefly falls under “ugly cute” for me. It is cute, but I hate mosquitoes. When I first heard its name, my thought was it sounds like a fan came up with it. 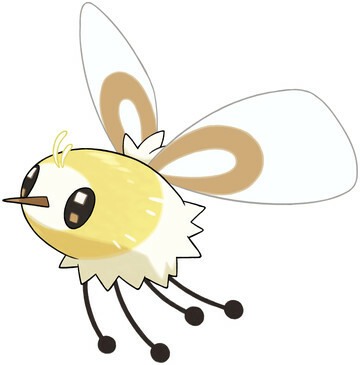 Then again, the same could be said for most pokemon’s names (fun fact: “Cutiefly” rhymes with “Beautifly“). Fan-made sounding names aren’t anything new. Another new feature, one of the smaller ones, I’m thrilled about is during pokemon battles, there’s an indicator to tell you how effective a move will be against your pokemon. I know the type match-ups by heart, but I don’t know every pokemon’s typing by heart and dual typing throws a wrench into it. Anything that makes a guidebook a little less necessary is a welcome addition to me! So far, my only hope for these particular games is their post-story isn’t as short as X and Y’s. That was my only disappointment about the X and Y games. Overall, I cannot wait for Sun and Moon, and while I’m not trying to rush the summer, I’m very much looking forward to November for these games to be released (and for Disney’s newest princess, Moana).